Computers are like us in more ways than you think. They breathe the same air that we do, which contains dirt and dust that clogs vents, heatsinks, and fans. Every computer is in a different environment than the last, and most people who can clean their computer, don't know how often to do it. 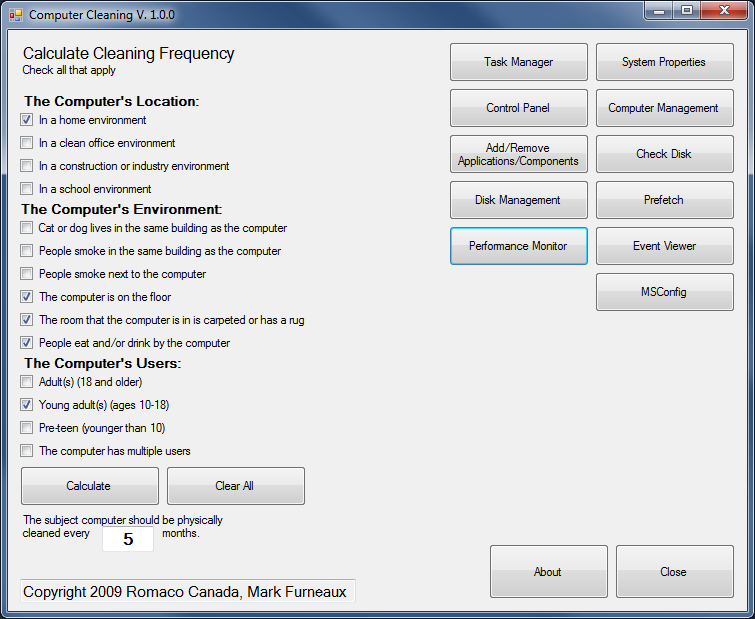 Romaco's Computer Cleaning application allows you to fill out a quick survey and it will return how often the computer should be cleaned. It also offers quick one click access to the 11 most used administration tools in Windows.